Micros raring to go !! 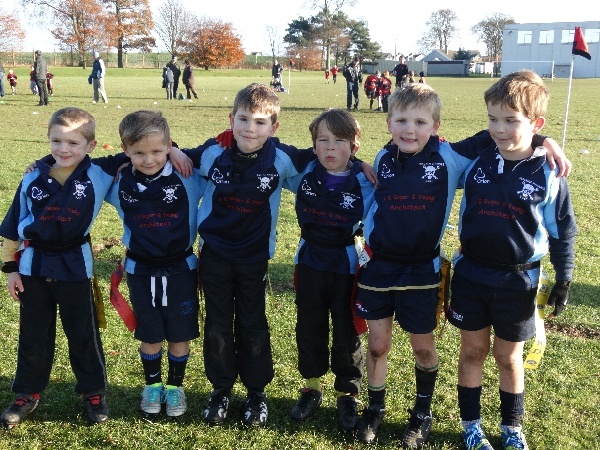 It was a glorious morning in Carnoustie and the 6 micros from Brechin were ready and raring to play. This Sunday November 24th, Brechin Pirates played Carnoustie at their home grounds. We played 3 games of spectacular rugby with tries being scored by both teams, a side step or two and couple of lumps 'n' bumps. Overall the games ended in a tie with a great atmosphere between both teams. Tries for Brechin Pirates were scored by Lewis Forfar, Gregor Pert and Aiden Spalding. Big thanks to Carnoustie and their helpers for the games and for their hospitality. Next week Brechin Pirates at home playing Strathie Sharks.